But does it live up to these high expectations? The early reviewers seem to be split - some of them found that the device went above and beyond their expectations, while others were slightly disappointed by its performance. Read on for four different opinions of the device. I was a bit surprised to see that Engadget gave the Optimus 2X a rating of 6/10 - after all, they freely admit to being "unabashed spec junkies." However, their complaints certainly make sense - the software is, apparently, quite buggy, and the Tegra 2 CPU hasn't been used to its full potential (at least not yet). Nonetheless, the smartphone's build quality is said to be top-notch, and the HDMI mirroring feature, which allows you to transfer the content on your 2X to the big screen, was also quite good. Software issues aside, it appears to be a great phone - besides, a good custom ROM or two should be more than enough to fix the bugs. Brian Klug and Anand Lal Shimpi, the two AnandTech editors who reviewed the Optimus 2X, were quite impressed with the device - though they were quick to point out its downsides as well. For example, they too found the software to be disappointingly buggy - the Browser and Messaging applications were particularly crashy. However, the device's pros definitely outweighed its cons - they found that the phone was actually very snappy when it wasn't crashing, and its 4-inch 800x480 IPS display was nothing short of stunning. And, as Brian noted in the comments, the 2X's Wolfson WM8994 audio chip sounds great. The conclusion? The 2X is somewhat of a dichotomy. On one side, you've got moderately aesthetically pleasing hardware, class-leading performance from Tegra 2 that doesn't sacrifice battery life at the stake, and a bunch of notable and useful extras like HDMI mirroring. On the other, you've got some serious experience-killing instability issues (which need to be fixed by launch), a relatively mundane baseband launching at a time when we're on the cusp of 4G, and perhaps most notably a host of even better-specced Tegra 2 based smartphones with more RAM, better screens, and 4G slated to arrive very soon. It's really frustrating for me to have to make all those qualifications before talking about how much I like the 2X, because the 2X is without a doubt the best Android phone I've used to date. Android is finally fast enough that for a lot of the tasks I care about (especially web browsing) it's appreciably faster than the iPhone 4. At the same time, battery doesn't take a gigantic hit, and the IPS display is awesome. The software instability issues (which are admittedly pre-launch bugs) are the only thing holding me back from using it 24/7. How the 2X fares when Gingerbread gets ported to it will also make a huge difference, one we're going to cover when that time comes. Unlike Engadget and AnandTech, Phandroid's Rob Jackson did not experience issues with the 2X's software performance. 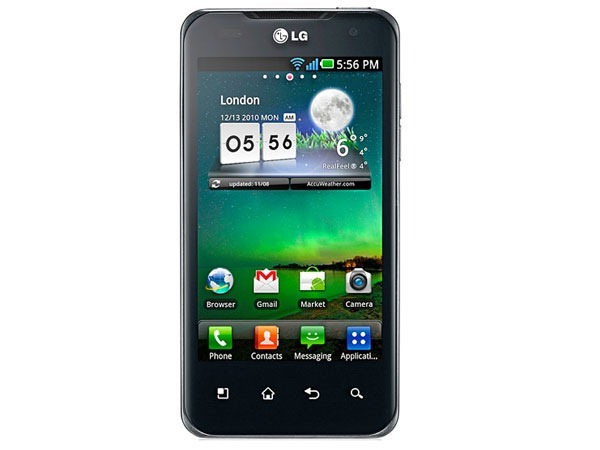 In fact, he enjoyed LG's customizations, and found the phone to be really snappy on a day-to-day basis. Additionally, the camera was seriously impressive - be sure to hit up his full review for a look at some of the shots and videos it took. Welcome to Android, LG. Although the Optimus One and a couple other mid-range LG Android Phones have graced the shelves, none of them come close to reaching the class of the Optimus 2X. It will forever live in history as the first smartphone and first Android phone equipped with a dual-core processor, but more importantly the Optimus 2X marks the start of LG’s march into high-end Android territory. If the Optimus 2X is any indication, LG will be a rock solid Android competitor pumping out high-end Androids for the foreseeable future. The LG Optimus 2X runs incredibly smooth atop the Tegra 2 processor and Android 2.2, zipping in and out of a full set of multimedia features. Multimedia and gaming are excellent, HDMI mirroring is awesome, and the the 8MP camera and HD camcorder are more than adequate. It’s hard to find something to dislike about this phone, but the obvious objection is it only runs Android 2.2. That’s a complaint I’d mostly dismiss as the Optimus 2X runs quite beautifully on 2.2, not to mention it’ll only get better if upgraded to 2.3… and keep in mind with a dual-core processor the Optimus 2X is future proof to some degree – this phone should age well. I’d highly recommend the LG Optimus 2X – it’s a solid, overall powerful phone and won’t disappoint. 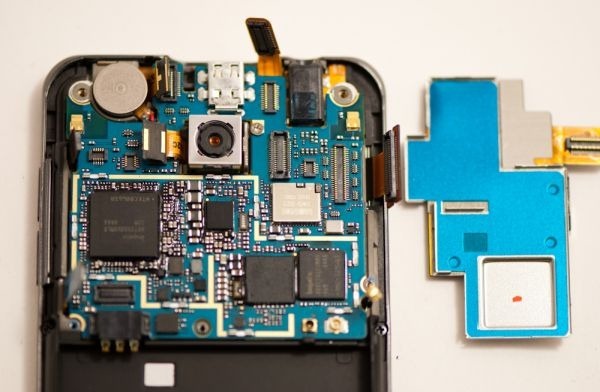 Head on over to our Optimus 2X Forum to continue the discussion. I'm not sure what to think of the Optimus 2X - on one hand, it's the world's first dual-core smartphone, and its raw horsepower is amazing. On the other hand, it still has some serious software kinks that could hinder the end user experience. I suppose it's a solid choice if it's available in your country - if it isn't, I'd recommend waiting for the likes of the Atrix 4G or Droid Bionic to launch, as it doesn't seem like LG's latest creation is worth the complicated and expensive importation procedures.